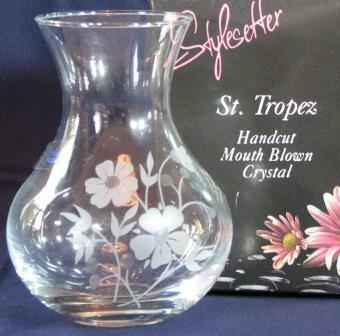 Description: Hand Cut Mouth Blown Crystal Vase, St Tropez Crystal. 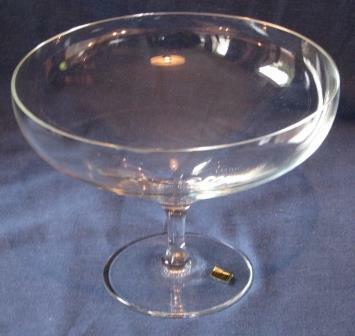 Cristal D'Arques Bon Bon Dish x 2. 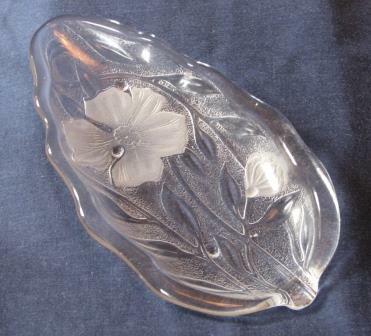 Manufactured by Cristal D'Arques France, 24% Lead Crystal. 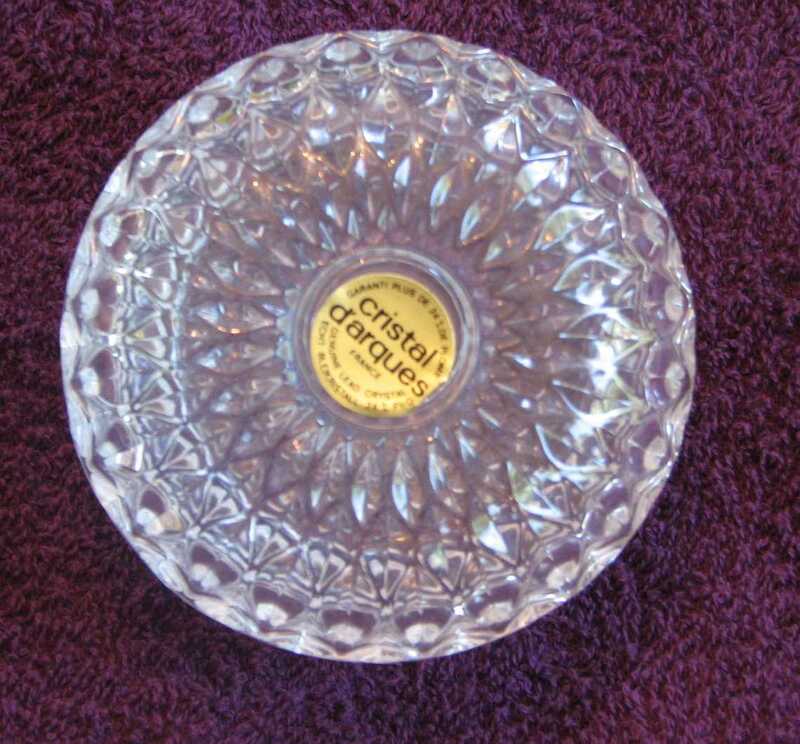 Manufactured by Cristal D'Arques France. 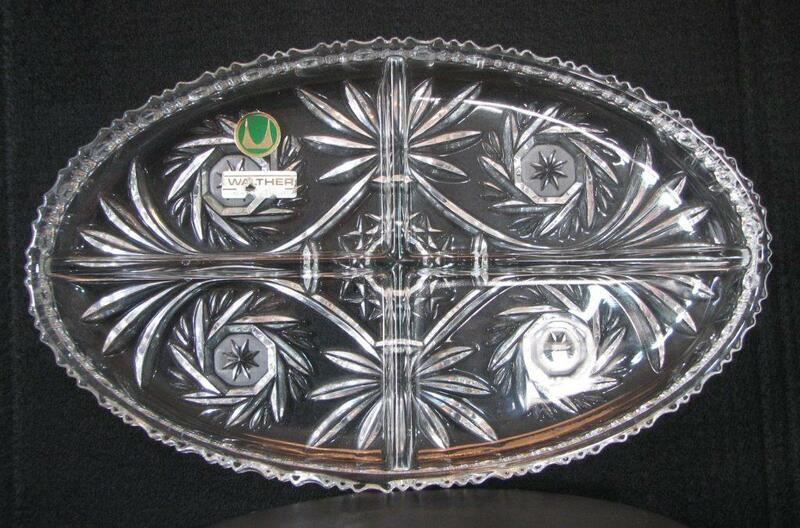 Lead Crystal Leaf Shaped Plate. 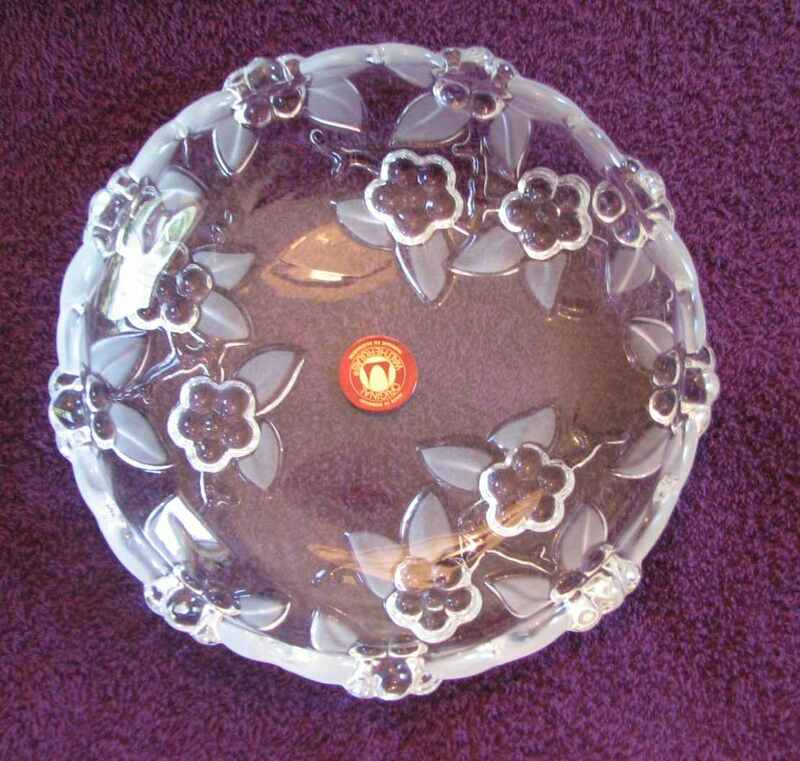 Manufacturer: LR - Lednicke Rovne, Czechoslovakia. The Following Items Have Been Sold. 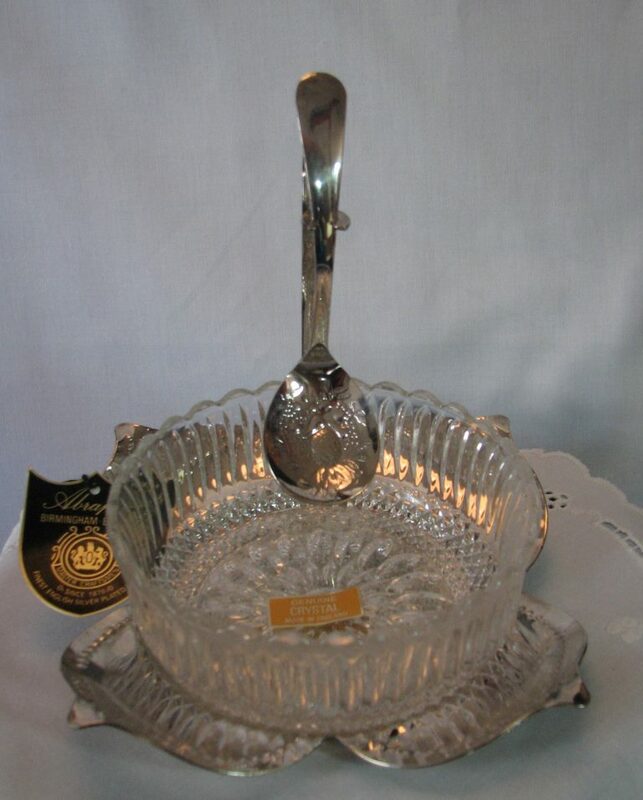 Title: Abrahams Crystal Jam Bowl with Spoon. 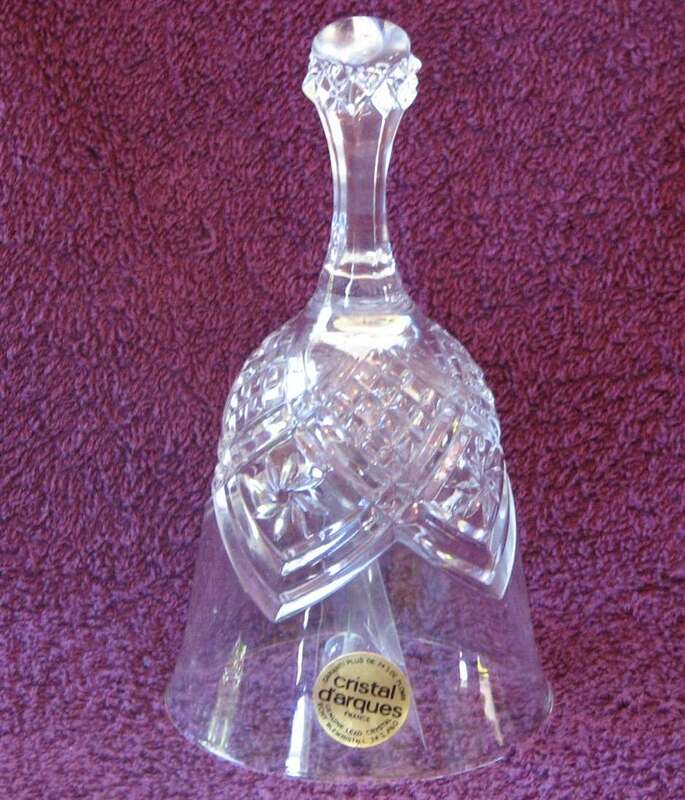 Sold For: R 175.00 Inc Vat. 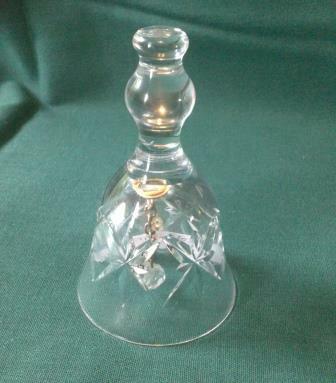 Sold For: R 75.00 Inc Vat.